More than half of banks and savings associations increased their bank-owned life insurance holdings by 4.3 percent in 2013. Of all 6,812 banks and savings associations, 3,840 or 56.4 percent reported holding BOLI assets in 2013. Bank-owned life insurance (BOLI) assets reached nearly $143.84 billion in 2013, reflecting a 4.3 percent increase from $138 billion in BOLI assets held in 2012 by commercial banks, savings banks and savings associations, according to the 2014 edition of the Equias Alliance/Michael White Bank-Owned Life Insurance (BOLI) Holdings Report. BOLI is used to recover costs of employee benefits and offset liabilities for retirement benefits, helping banks to keep up with ever-rising benefit costs. BOLI may be differentiated by three types of assets: separate account life insurance or SALI assets, also referred to as variable separate account life insurance assets; general account life insurance (GALI) assets; and hybrid account life insurance (HALI) assets, also referred to as hybrid separate account life insurance assets. Commercial banks and FDIC-supervised savings banks began reporting their BOLI assets by type in 2012, while savings associations began reporting them by type in 2013. Co-produced by Equias Alliance and Michael White Associates LLC (MWA), the Equias Alliance / Michael White Bank-Owned Life Insurance (BOLI) Holdings Report measures and benchmarks the cash surrender values (CSV) of life insurance and ratios of CSV to capital attained by commercial banks, savings banks, and savings associations (the “banks”). The data in this report were submitted to regulators by all 6,812 banks operating on December 31, 2013, down 271 banks from 2012. Of all 6,812 banks and savings associations, 3,840 or 56.4 percent reported holding BOLI assets in 2013, increasing their BOLI holdings by 4.3 percent from $137.95 billion in 2012 to $143.8 billion in 2013. The largest portion of BOLI assets was held in separate account life insurance (also known as variable separate account life insurance). 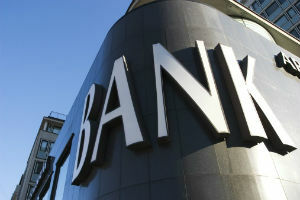 SALI CSV assets totaled $70.4 billion among banks, representing 49.0 percent of all BOLI assets. Only 597 or 15.5 percent of all 3,840 banks reporting BOLI held separate account assets. The type of BOLI assets most widely held by banks in 2013 was GALI policies. Ninety-three percent (93.4 percent) or 3,585 of the 3,840 banks reporting BOLI assets had $58.78 billion in general account life insurance assets, representing 40.9 percent of total BOLI assets in 2013. In GALI policies, the general assets of the insurance company issuing the policies support their CSV. Of the 3,840 institutions reporting BOLI assets, 1,188, or 30.9 percent, held $14.63 billion in hybrid account life insurance assets, aka hybrid separate account life insurance assets. HALI represented 10.2 percent of total BOLI assets in 2013, making it the smallest reporting category of BOLI assets. Hybrid account insurance policies combine features of both general and separate account insurance products.